As you schedule the various upgrades and improvements you would like to make at your Atlanta, GA home, you may be mulling over the idea of adding more living space. The good news is, a room addition is probably one of the most cost effective investments which will often increase the value of your home more than enough to pay for the expense. Your next step will be to determine what type of living space you would like to add. 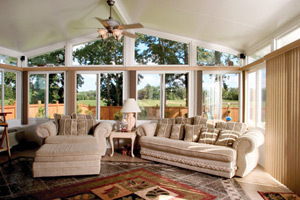 Many homeowners have opted for sunrooms as their room additions of choice in the greater Atlanta, GA area. The result of these features is a sunroom that can function like almost any other interior room of your house. Whether you want to use your Atlanta sunroom for entertaining, eating, studying, watching TV, working, exercising, reading, playing games, or growing plants, sunrooms are truly one of the most versatile room additions available. When you're ready to learn more about sunrooms and their advantages over other room additions, we hope you will choose Factory Direct Remodeling of Atlanta as your sunroom company in Atlanta, GA. 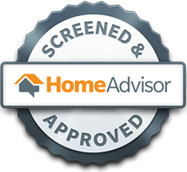 Please contact our Kennesaw, Georgia headquarters today to request a free quote for any city, town, or county in the greater Atlanta area including Gwinnett County, Peachtree City, Lawrenceville, Smyrna, Marietta, Conyers, Duluth, Alpharetta, Roswell, Buckhead, Metro Atlanta, Dunwoody, McDonough and beyond.